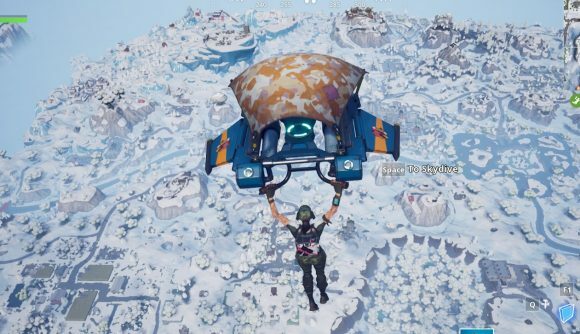 The Ice Storm live event has kicked off in Fortnite, and it’s brought with it some new enemies to worry about while you’re striving for that Victory Royale. Ice fiends and ice brutes now inhabit the island, which has been completely covered in a blanket of snow and fog. 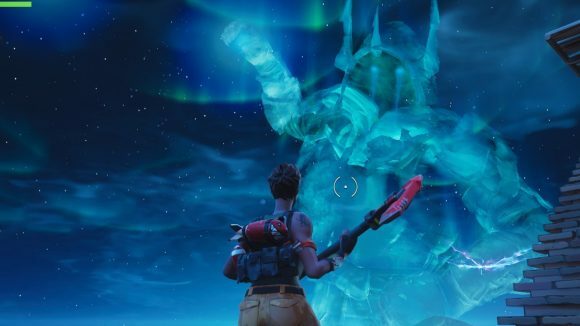 The countdown we’ve all been watching on Fortnite’s in-game TV screens hit zero today as scheduled, and the Ice King was loosed from his sphere above Polar Peak. Floating high above, he summoned a gigantic phantasmal copy of himself, causing a new crack in the sky. This he followed up by conjuring a blue flame, which he sent forward in a massive gust of icy wind and clouds, which traveled across the map and covered the island in snow. Similar to Fortnite’s Halloween event last year, for the duration of the Ice Storm event you’ll have to contend with enemy NPCs, known as the Ice Legion. These are the snowy cousins of the fiends and brutes you saw then, and the event’s challenges mostly have to do with taking them out – we’ll have more about those available soon. And here’s my view from the tower on Polar Peak, shortly before I clumsily fell to my untimely death and missed the actual storm part: The Ice Storm challenges will unlock over the course of the event, so we’ll be keeping you up to date with those as they become available. As Julian has noted, the Ice King and his army of fiends bear more than a passing resemblance to the White Walkers as they’re depicted in HBO’s Game of Thrones. Unlike the beleaguered Night’s Watch, however, in Fortnite you’ll have access to shotguns.